Universal Aesthetics is a privately owned company and is today acknowledged as one of the foremost suppliers and consultants in the Australasian beauty industry. In 1999, UA became the official Australian distributor of Pevonia Botanica, one of the world’s most prestigious luxury spa and natural skincare brands. Fifteen years on UA is the strongest and largest international distributor of the brand. 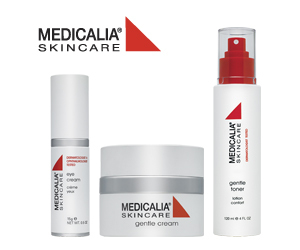 UA also became the distributor for cosmeceutical skin care line, Medicalia in 2004 and after years of dedicating time and energy into both Pevonia and Medicalia, UA expanded their portfolio by launching their own brand, ELES Cosmetics, a sleek and sophisticated mineral makeup line with healthy skin formulas. From our humble beginnings fifteen years ago to our strong presence today, UA has supported some of the biggest names in the industry and our client list, present and past, includes many of Australasia’s most respected spas. During recent years the company has expanded internationally and has been branding alongside prestigious hotel & resort spas in the Maldives, Mauritius, Seychelles, Fiji, Sri-Lanka, Vanuatu, Indonesia and Philippines. Universal Aesthetics, more commonly known as ‘UA’ is co-owned and directed by Rainer and Liane Scior both whom have a wealth of experience and expertise in the beauty industry. Rainer Scior is the Managing Director of Universal Aesthetics and the strategic backbone of the company. Rainer has diverse experience in the areas of production, management, accounting and marketing, and uses these skills to co-ordinate a team of professional people who combine to create a dynamic and happy company. A perfectionist with an ability to provide common sense to any situation, Rainer treats every client, large or small as if they were his only client. It is this dedication to the success of his customers that has earned him the reputation of being the most supportive supplier in the industry. It is also the reason why Rainer enjoys the support of valuable clients that have dealt with Universal Aesthetics since its inception. Liane Scior is co-owner and Director of Marketing and Education and is recognized as a pioneer in the fields of Medical Aesthetics and Spa therapy in Australia. She is dedicated to holistic beauty therapy and continues to contribute to the expansion of this new and exciting field. Her credentials include a Diploma in Beauty Therapy (Australia 1983), Diploma in Aesthetic Hydrotherapy (Canada 2000), Advanced Marketing Certificate (Australia 1992), and Certificate in Paramedical Aesthetics (USA 1996) and Diploma in Educational Psychology (2005). To UA, loyalty is a parallel path, as our spas kindly extend their loyalty to the UA brand; the company reciprocates by assisting them to increase client retention and profits. It is not only about the kind of support provided, it is mostly about the phenomenal level of value and respect we attribute to spas offering our brands. UA goes far beyond providing outstanding treatments and products. We firmly believe that it is our responsibility to enhance the success of valued spas with proven effective business strategies for increased spa traffic and exponential profitability. Our team of experts is dedicated to a win-win strategy; as they uniquely enhance the overall success of every spa partner, the brand expands and progresses. UA becomes an integral part of the solid foundation needed for a successful spa operation. Our mission is to provide salons and spas with the best tools and strategies to ensure they are operating at full capacity.